Children are reluctant to brush their teeth. As they find the activity annoying, boring or pointless, they tend to brush their teeth too fast, very poorly or not at all. Parents have troubles pushing their kids’ behavior to commit voluntarily into tooth-brushing, and as a result this daily ritual happens to be difficult for the kids to catch. Oral-B’s nudge encourages kids to enjoy tooth brushing better and make it a more voluntary habit, rather than a chore imposed by their parents (who are the nudge’s buyers), therefore avoiding a number of tensions. To challenge the current behaviors, Oral-B needed to turn tooth-brushing into an attractive activity. Proper teeth brushing is an essential habit in oral care that can prevent many troubles like cavities (caries) and gum diseases that cause at least a third of adult tooth loss. Taking care of dental hygiene issues has a huge cost for the public. Think that this cost for society can be avoided! PRINCIPLE: n this Nudge, Oral-B aims at introducing some fun in tooth-brushing. The system developed creates engagement and consistency by offering salient, interactive entertainment. Once the kids’ attention has been captured away from the annoyance that is tooth-brushing, rewards are used to turn the new behaviors into long-term, enrooted habits. EXECUTION: Oral-B has partnered with Disney to launch an app that goes along certain Oral-B products. 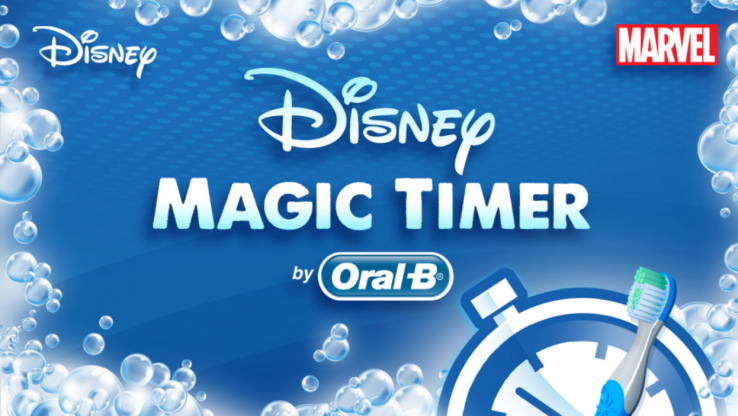 When going to the bathroom, the children can scan their toothbrush or other Oral-B product with the associated free Disney Magic Timer smartphone/tablet app. It should be noted that even though scanning is encouraged, the app also works if you don’t have any Oral-B product on hand, so that the whole nudge is completely free. When set on, the app starts a two minute countdown, slowly revealing an hidden fun image at every brushing (a new one at every brushing). The different images feature known characters from the Disney/Marvel/Star Wars franchises. Every time the kids complete a brushing, they add a virtual sticker to their collection. The amount of content available for download makes the app a sustainable tool to help build good, lasting habits. FIELD EVIDENCE:Procter and Gamble conducted a brushing study which revealed 9 out of 10 kids brush longer when using the app. Oral-B claims the app downloads count is now north of a million.